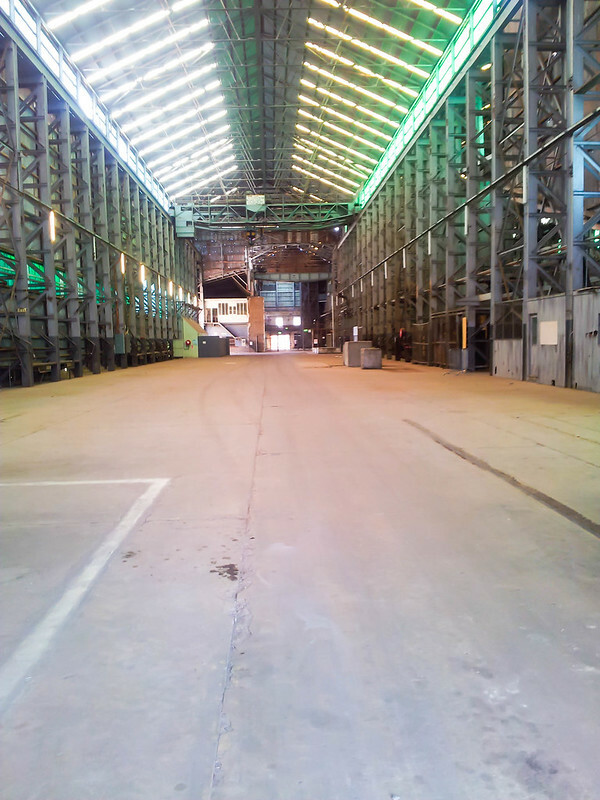 In July 2010 Cockatoo Island was named as a UNESCO World Heritage Site, with its long and colourful history it is really no surprise! It has many tales to tell. 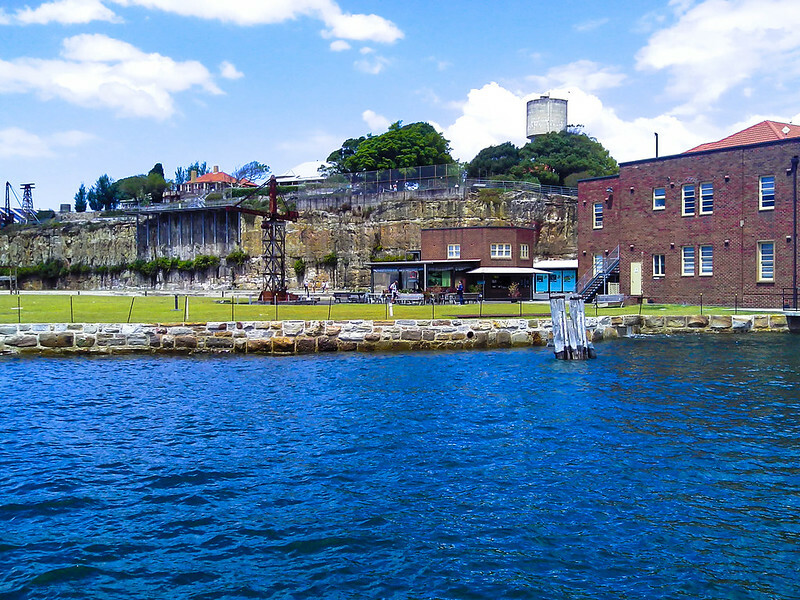 Cockatoo Island is located in the middle of Sydney Harbour, Australia and is just a short but fantastic ferry ride out to see it. Once there you can be treated to magnificent views of Sydney Harbour that include the iconic Sydney Harbour Bridge, well once you make it up the hill! Marley on the Cockatoo Island ferry. Cockatoo Island History, from convicts to UNESCO. quite a story! Cockatoo Island history spans nearly 200 years. The Island was originally used as a convict settlement from 1839 to 1869 and was mainly used to house repeat offenders. It was also the convicts that had to build the barracks while they were not on any other building task within Sydney at the time. Many were housed here while they worked on other building sites around the growing city. The convicts of Cockatoo Island were also the builders of Australia’s first dry dock also located on Cockatoo Island known as Fitzroy Dock. In 1871 the Island was used as an industrial school for girls and a reformatory for young boys. As there was a ship ‘The Vernon’, anchored nearby the young boys at the reformatory were given naval training. Did you know Cockatoo Island Camping is available? The campground offers a communal kitchen and shared bathroom facilities. Glamping tents include bed linen, blankets, towels and toiletries. Cockatoo Island Camping tents have a sleeping mat and chairs. Can you think of a better place to camp than in the middle of Sydney Harbour? Shipbuilding started at the Island in 1870 and the Island became an important part of the Shipbuilding industry in Australia with Cockatoo Island transferring over to the Commonwealth Government to be used by the Royal Australian Navy in 1913. 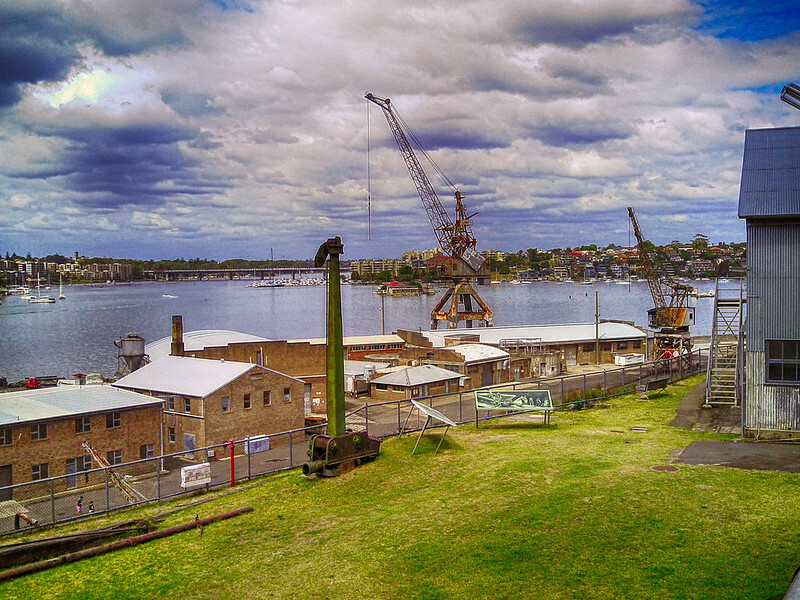 Although there are still many buildings, cranes and jetties on Cockatoo Island none are able to be operated anymore. Riding on a ferry is not something kids do much in Melbourne so catching the Cockatoo Island Ferry was a highlight of the day for them. 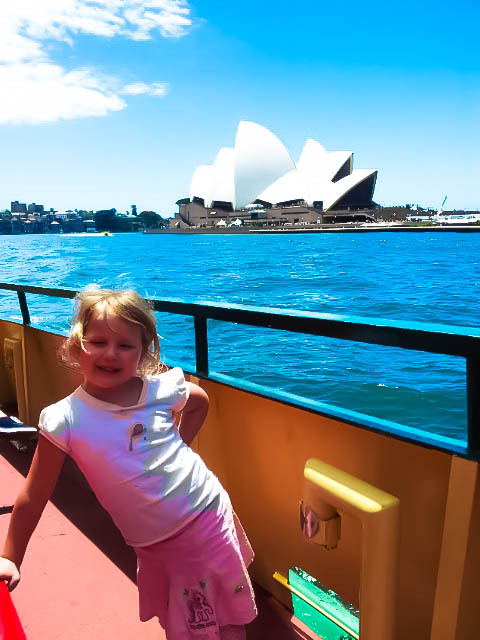 The views of the Sydney Harbour are absolutely magnificent as you cruise around on the ferry. Visit the world famous Taronga Zoo Sydney. Overlooking magnificent Sydney Harbour, Taronga Zoo is just 12 minutes by ferry from Circular Quay and offers amazing wildlife experiences with stunning harbour views. Nestled on the shores of the world’s most beautiful harbour, Taronga Zoo is surrounded by lush bushland of Bradley’s Head National Park, popular for early morning walks. Ferries depart from Circular Quay every 30 minutes. Although nothing is operational on the Island, this does not take away its magnificence. As you walk around the Island you can really get a feel as to how hard life must have been for the convicts, children and for the shipbuilders alike. While you can now enjoy Cockatoo Island camping or ‘glamping’, bbq and generally relax on the island it was a very different way of life for the convicts living up on top of the hill. We started from the dock and walked up past the Cockatoo Island camping grounds. I was very surprised at how modern and comfortable they looked. We all thought it would be a great place to come back to camp the night (We still have not returned but it will definitely be on the list!) From there we ventured up to the convict area. Both the girls were very interested in how all the buildings were built there and that led to talking about our countries history. Down near where the ferry drops you off is the toilet block that is well maintained and was really clean. We did find that having some light snacks and some frozen water bottles helped us keep the girls happy as we wandered the Island. The Cockatoo Island restaurant was not open on the day that we visited as it was under renovations but the Cockatoo Island Cafe was. It was quite a warm day when we were there so the amount of walking was getting the girls hot. It did not seem to matter that we were the crazy ones pushing them in a pram! The girls enjoying exploring the Island. Do you want to visit Cockatoo Island? The sandstone buildings were still amazingly well preserved. The girls loved looking around the guard house and then on to the buildings that were the barracks and the hospital. We then kept wandering until we hit the Superintendent’s house where the girls sat on the steps for a well-earned rest before being harassed for photo’s with the bridge in the background. 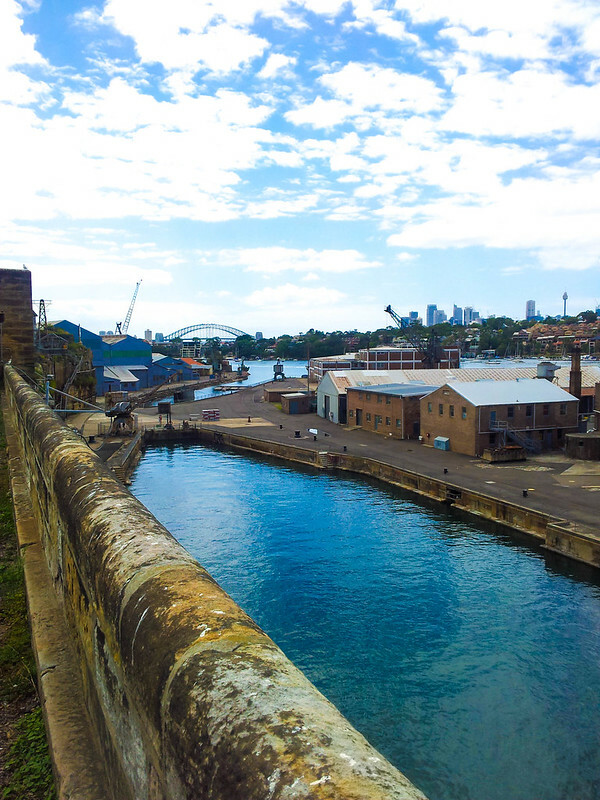 The walk down the hill made them more than happy while we explored around the old dockyards and warehouses. What’s more Australian than surfing? This fun 2-hour beginner’s surfing lesson on Bondi Beach lets you experience the thrill of catching your first wave. You will be taught surfing basics in a group of 5 students or less–a great way to increase your surf knowledge, technique, and confidence. While standing in some of the warehouses you were reminded of how small we really are. They were massive! As we walked around and took in all the different sights like cranes, docks, building and the plants that have made the Island their home we realised just how important taking care of places like this really is. Cockatoo Island history is very important to how Sydney was built back in the day. Taking the ‘shortcut’ through the tunnel back to the dock was the highlight of Willow’s trip, I think. She loved that it was spooky! A Sydney harbour view. One of the other reasons to visit Cockatoo Island! We enjoyed a cool drink from the small Cockatoo Island cafe while we were waiting for the next ferry to take us back to Sydney. The Island is a really great place to learn about our history and now the girls are older another visit seems like a great idea! 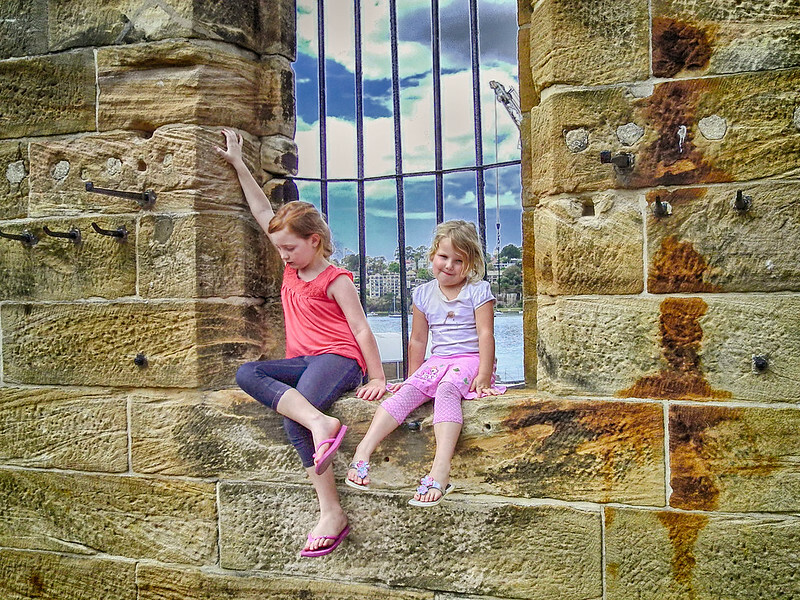 Sydney is a great place for families and there are so many other things to do in Sydney with kids! Also between you and me, it is one of the cheap things to do in Sydney. The only cost is the Cockatoo Island ferry and then you can wander the island free of charge. Now, that’s a good deal I would say when there really is not many cheap things to do in Sydney. 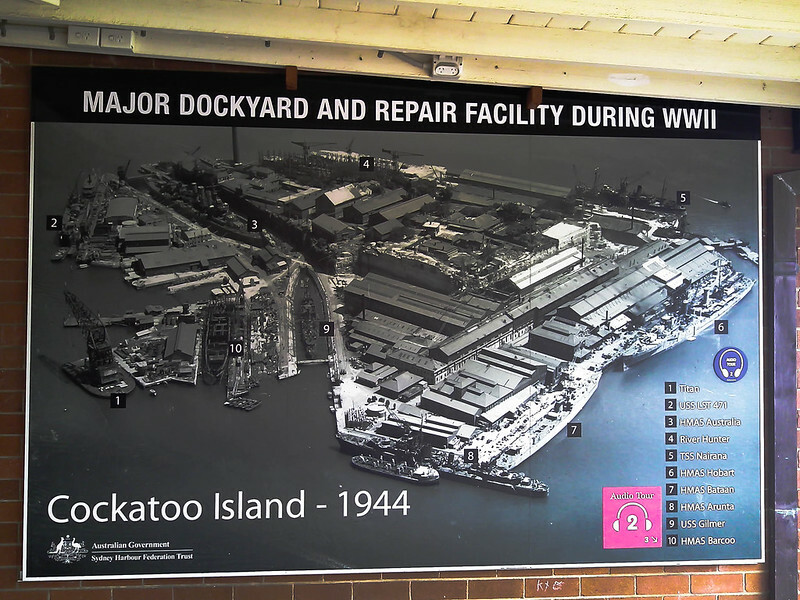 Now it is time for you to visit Cockatoo Island! How to get to Cockatoo Island is really easy and the ferry is a great ride. I suggest that you have a ferry timetable to Cockatoo Island with you so you can plan while you are walking especially if you have kids with you. We hope you enjoy your trip to Australia. Our country is big, unique and has some of the most amazing places to see. Here I have included two more posts on our great land for you to enjoy. Just click on the images to go to the story! So cool, just a ferry ride that takes you back in time! What a beautiful place! Great photos, thanks for sharing. Interesting! I was not aware about this place, will definitely check it out during our next Sydney trip! I love places like this that spur conversation in the kids. It’s great to see history in person and it’s something the girls will definitely remember. Read your travel plans for coming year. Sounds like an awesome trip. I loved Poland this year. I hope you are planning on Wroclaw and Krakow. My favorites. This is so cool! My Mum has been tracing our family history and it looks like we may have had some bad apples in the bunch back in the day. Cool to hear about that kind of history! You can go glamping on Cockatoo Island? How strange… especially given the history of hardship of the island. But great to see that its being recognized by the UN for its value to our collective human history. I didn’t even know this place existed in the middle of Sydney Harbor. I guess people forget that Australia once was a penal colony and romanticize it more for its beaches and the outback. Thanks for sharing this location! I am Australian and have visited Sydney a bunch of times but had no idea this was here. Luckily I am headed back there in July and will check it out. UNESCO sites are always so interesting. Looks like a great place to spend the afternoon. Lots of great history and some great views too. Glad the girls enjoyed it so much. I love how Australia has only a few World UNESCO sites. Just visited one this weekend myself (in Melbourne). It’s also interesting how this is so close to Sydney and so accessible yet so many haven’t made the trip. It;s fascinating history and so important in the overall fabric of Australian life. Great read and loved the photos. Really interesting post! I didn’t realise that Cockatoo Island is a UNESCO World Heritage Site or that you can now camp (or glamp!) on cockatoo island. I’ll have to check it out for our next long weekend and visit to Sydney! Great description of how hard the life was for ancient convicts, even if now it all looks so good and peaceful!! Thanks for sharing this, you have prompted me to visit something pretty special in my own back yard. Such a cool place and so much history! I love places like this! 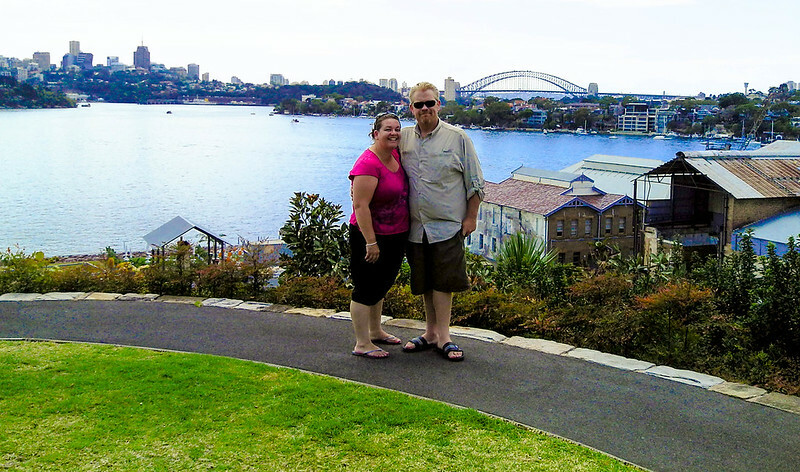 What an interesting UNESCO site, and just a ferry ride away from Sydney Harbor! I would never have known it was there. Thanks for sharing! I would love to take the ferry out to Cockatoo island. Between the views and the history it looks like an amazing way to spend a day exploring. Cool visit. I love UNESCO sites – whenever I have a chance I visit them – after all, they were not awarded this status for nothing. I know very little about the history of Australia however, I guess one day I’ll go and learn much more. Very cool. It looks like there’s a ton of places to explore there. And what an amazing view!